I am saddened when I see my brothers and sisters in Christ overwhelmed and beaten down by the enemy. As believers and followers of Jesus Christ, we are no different than Peter whom Jesus prayed that his faith remain because Satan desired to sift him as wheat. Through this conversation, we should realize that though Satan has the desire, he does not have the authority nor the power to overcome us unless we allow our faith to faint. 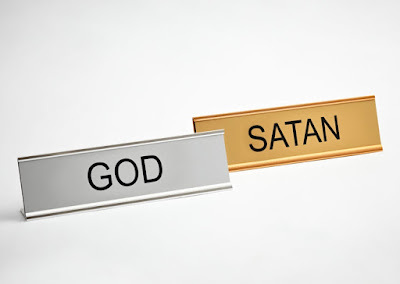 Jesus came with great power and authority to destroy the evil works of Satan. Jesus delegated power over all the power of the enemy to believers. Ø First, you have to know that you are a child of God and that you belong to Him. This is a great assurance that God is with us even in the midst of our storms and will make a way to see us through it. Ø We must recognize that Satan imitates God's power. With the Holy Spirit comes a certain degree of spiritual discernment. But there is also the gift of the Holy Spirit called discerning of spirits. It is an unusual ability given by God to immediately discern another person's spirit and know if they are good or evil. If you have this spiritual gift, use it to determine whether people's spirits are of God or Satan. If you do not have this gift, God has provided other methods of detection. II Peter 2 and the book of Jude inform us of the characteristics of people with seducing spirits to help you identify them. No matter how spiritual or powerful a person may appear, evaluate them on the basis of God's Word. Ø Evaluate the supernatural by the fruit. Satan can imitate spiritual gifts and God's power, but he has no imitation for a holy life exhibiting the fruit of the Holy Spirit which includes . . . Evaluate ministries by spiritual fruit instead of supernatural manifestations of power. Ø Study the word of god. To avoid being deceived by Satan's power, examine everything that is taught in light of God's Word. Evaluate the lives of those who are teaching powerful doctrines or performing signs and wonders. One of Apostle Paul’s goal when introducing men and women to the Kingdom of God was ensuring that they were not ignorant to the desires, devices and the attempts of the enemy to draw them back to his kingdom.